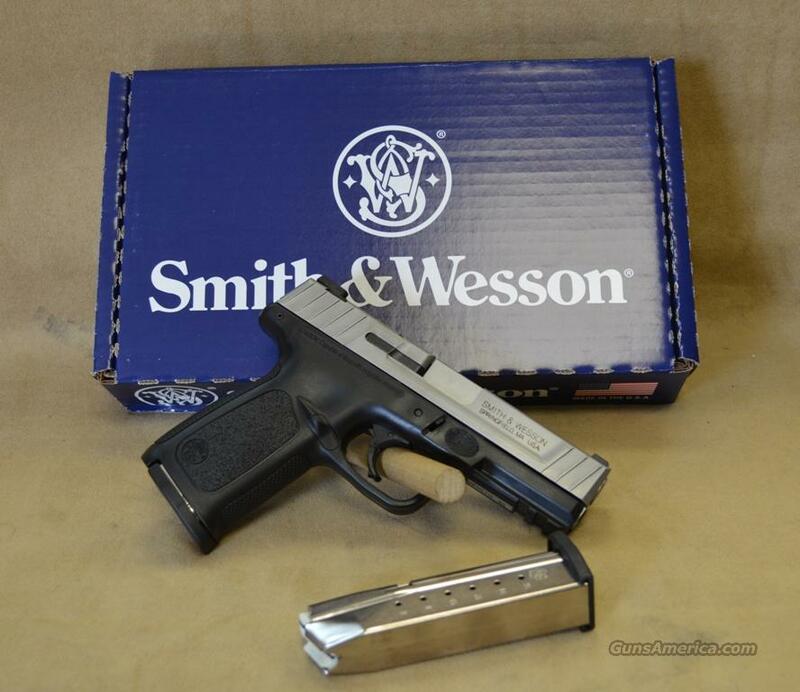 Smith & Wesson SD9VE Semi-Automatic Pistol in 9mm Caliber. Factory New in Box. 4" stainless steel barrel / black polymer frame. Comes with 2 - 16 round magazines. No manual safety. 3-dot white sights. Picatinny-style rail. No Sale to CA, MA or CO.